Sierra Pelada - Turismo de Íllora - Granada - Descúbrela paso a paso. Found in the middle of an ocean of olive trees on the road to Montefrio in the province of Granada. 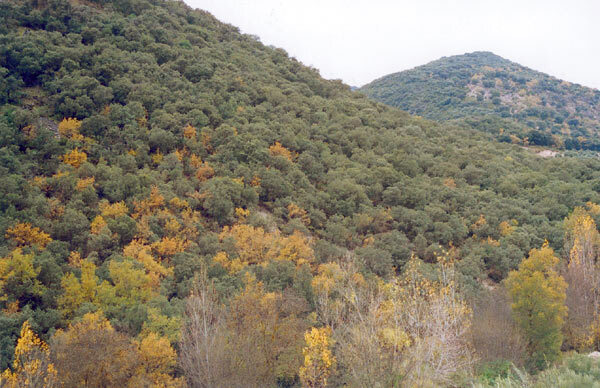 It is inhabited for centuries to partridges tocans, goats, Tarabillas en its tipicnatural habit of Esclerofiles woods show like its location is no-man’s land, It is best known walking to the Cañada Real de Priego, going to the capilla, we start at the property of Sierra Pelada, where you can find some indication. If you come from Íllora, you just go direction of Montefrio. 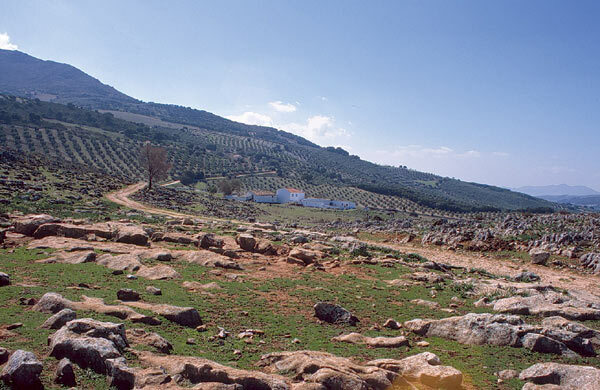 The property of Sierra Pelada is found nearby the road, about seven km of Íllora, here we go to open fields going over the IARA, which is going through the sierra from south up to north. There are agraric remains, dolmens, roman, visigoth and muslim sepulchres and an historical treasure that has been sacked outrepeatedly. The road starts climbing higher on the left side of the damn. We are going to a property called las Saleguillas, with an open field around it then you come to La arroyo de la Cañada it is a stream. Which end up at the property called Chaparral. If you leave the property behind you, we will come to the road of Montefrio, and ancient Royal Cañada (remember a men made stone fence) of Íllora, not in use anymore. New roads can be seen, up to Montefrio. If you have walked or driven about three km, you will see on the right side the sandy road of Capillas, where we can see the fountain called las Capillas. Going on our way to the right we come to the property of Ruiperez where you can see a small hermitage where every year famous feasts are celebrated. Now we return to Íllora, seeing on the road a garbage plant, but going down on that same route we are coming to the beginning of it.